I have posted twice before on the commemoration of Memorial Day, and I encourage you to read them, both here for 2011 and here for 2012, not just for my meager words but mostly for the references to those more eloquent than I am. 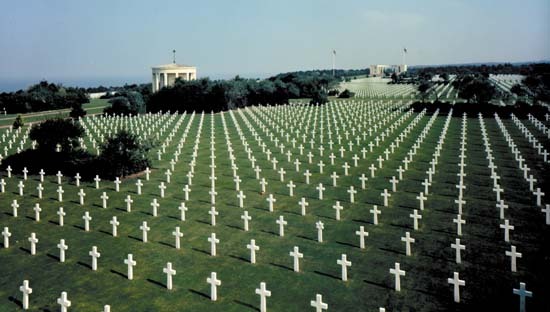 Memorial Day is to commemorate those who have given their lives in the ultimate sacrifice for their country and comrades, in battle or as a result of it, and in observance of those families who mourn their loss more deeply than anyone, for to them every day is a memorial day. I have lost friends and good acquaintances – 'absent companions' – but more importantly a brother in the cause of the defense of our nation. A greeting of "Happy Memorial Day" is a sentiment misplaced. There are people who will reflexively say "Thank you for your service," yet while I appreciate the thought, for myself but mainly for the many members of my family who have served and continue to serve, that kindness is reserved for Veterans Day in November. Note that I allowed for the "observances" above, not for festivities. While it is fine to relax and clear one's mind from those "thousand natural shocks that flesh is heir to", it is for the purpose of giving thanks to those who have suffered all the very real variations of slings and arrows in their modern and more lethal form, those who took up arms against our national sea of troubles, to oppose them, to end them. Yet we should go beyond our mourning of those we have lost, and their future generations. It is now the political outlook to which our culture has been bent, that we remember only their loss. Thus the criticism of such places as the Vietnam War Memorial, a "black gash" that is dug into the ground and lists the names of the dead on an extended black slab, designed and selected by people who had little or no experience or knowledge of that or any other conflict. The Wall reflects only that they died, not what they did. It is the lists of those killed in action in Iraq and Afghanistan that were so prominently displayed and reported (though not in this administration), or like the letters "from the front" that were read weekly on a Portland radio station, edited to present only fear and despair, read to the accompaniment of a dirge. We must reflect not so much on the keen loss but also on what we have gained by their sacrifice, for while there shall always be wars and rumors of wars, we should always be mindful of the great cost borne by those who stand ready to do violence on the behalf of those sleeping peacefully in their beds, to paraphrase George Orwell. 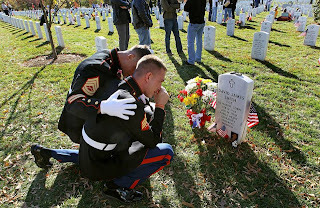 General George S Patton put it well and succinctly: "It is foolish and wrong to mourn the men who died. Rather we should thank God that such men lived." War is an ugly thing, but not the ugliest of things; the decayed and degraded state of moral and patriotic feeling which thinks that nothing is worth war is much worse. A man who has nothing for which he is willing to fight; nothing he cares about more than his own personal safety; is a miserable creature who has no chance of being free, unless made and kept so by the exertions of better men than himself. Let us remember and celebrate those men – and women – who have helped ensure our freedom here at home, and the freedom of so many countries overseas. The only territory we have ever fought for since our Civil War has been for fields of crosses, row on row, that adorn the countryside of nations we have fought to liberate.